A lot of practitioners do not consider using events to build their practice, but events are a fabulous way to increase revenue and the public’s awareness of what you offer. But this does not mean that you have to spend a fortune to create an event that makes an impact. You could, for instance, simply hold a question and answer forum for those who are interested in your service but have not yet become patients. Or you may find that simply holding a practice party and inviting potential patients will get the branding and awareness results you want. When you put your mind to it, it is easy to come up with some interesting ways to use events to build your practice. But you need to be careful and plan your events wisely. Running events can also be a huge expense if they do not deliver the desired outcomes. 1. 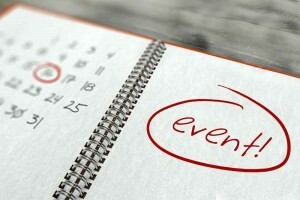 Make Your Event Relevant To Your Practice. It is true, sometimes just inviting someone to any old event can help build relationships, and even get you a new patients. But the most effective events use themes that are closely connected to what service you are selling or promoting. Fit your event closely to your service, and your brand image, and patients will not only have a good time, but they will also open their wallets and purchase your service. Events can easily spiral out of control. An event that you hoped would only cost a few hundred dollars can quickly end up costing thousands, just because some small changes and additions to the original idea. It is quite common that practice owners who are normally rational and sensible end up getting excited and letting costs go through the roof. You must treat events as another practice expense and monitor costs accordingly. Often what guests talk about most is not the main event itself, but the one or two little surprises that unfolded on the night. When you are planning an event, your job is to make these little delights a reality. The good news is that creating these unexpected moments usually does not involve spending much money, but rather spending time dreaming up a few special ideas. It is quite amazing really; so often it is the tiny things that your patients & potential patients will remember. A lot of events do produce the desired results simply because the invitations went out too late. A lot of people have huge demands on their time, so be sure to let them know of your event at least six weeks in advance. You should also send your invitees occasional reminders, to keep them excited as the event approaches and to maximise attendance. This is a crucial step. Far too many practices go all the effort and expense of staging an event, and then do absolutely no follow up afterwards. Now that you have your patients & potential patients feeling good about you, your brand, and your service, you need to follow them up with a phone call, a brochure or with some practice details. A swift follow up can often be the difference between an average event and a spectacularly successful one. Events are an extraordinarily effective way of boosting building new patient numbers and building current patient relationships. Keep these five tips in mind when you are organising your next event and you will hugely increase your chances of making it your most successful one yet. Ask us today about your practice event checklist.